This week’s travel agent favorite resort is Excellence El Carmen. Our travel expert Mckayla stayed here and absolutely loved it! 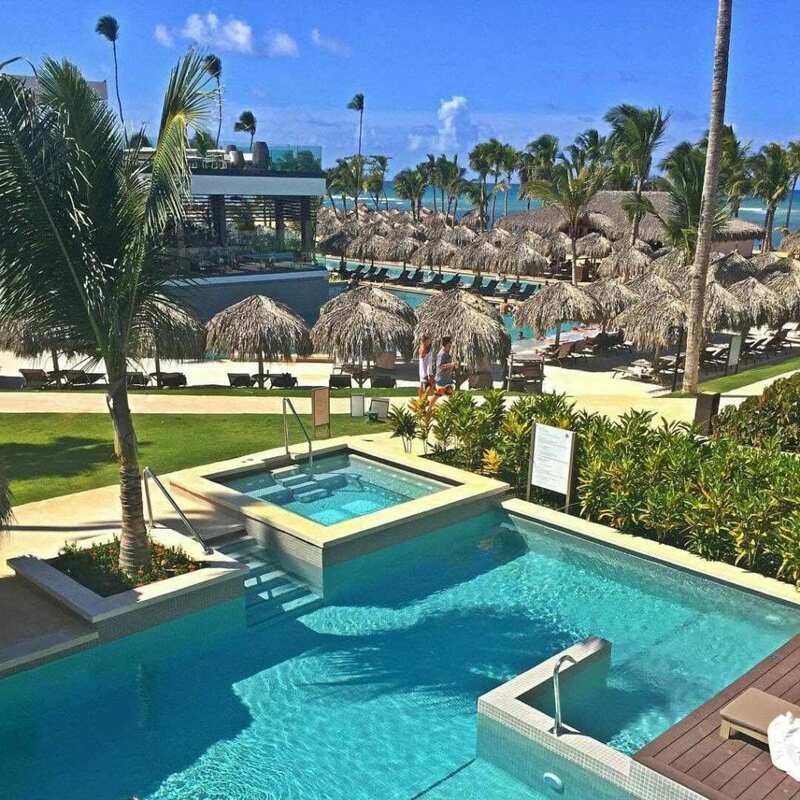 This adults-only all-inclusive property is located just outside of Punta Cana in the Dominican Republic. Read on for everything you need to know about this 5-star resort. Excellence El Carmen has just the right amount of seclusion without making guests feel isolated. 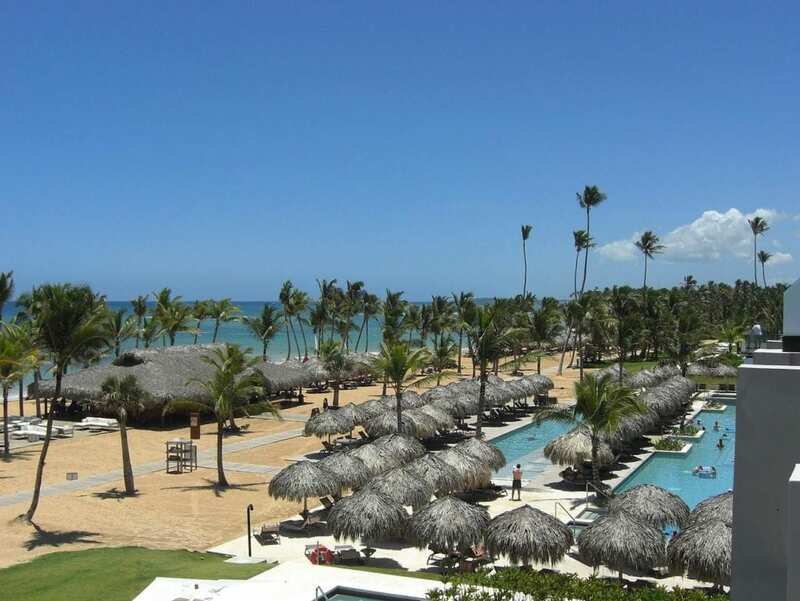 It is located just outside of the main hotel zone in Punta Cana – about a 40 minute drive from the airport. Even if you stay during a time when the resort is at full capacity, it never feels crowded. You won’t find a crazy party vibe here, although they do have daily and nightly activities if you are looking to cut loose a bit. For instance, they host silent discos, white parties, games at the pool, and more. If you are looking for a spring break type atmosphere, this is not the resort for you! 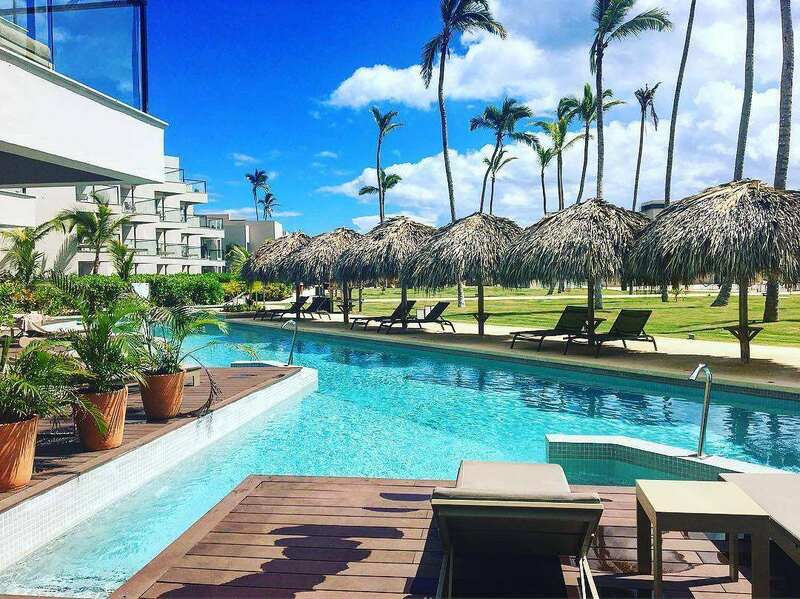 Excellence El Carmen is an all-suite property. They underwent a $45 million renovation in 2017 which included all of the rooms. Here you’ll find six suite types to choose from, all with a mid-century-modern vibe. We suggest you upgrade to a swim-up suite which includes a private pool and deck. This is a great option for honeymooners. The suites at this resort are large and airy, with marble floors and glass-enclosed whirlpools that overlook your very own private balcony. Almost all of the rooms have at least a partial ocean view. Although the property is large, even the rooms at the back of the resort are just a 5-10 minute walk to get anywhere on the resort, including the beach. With 10 restaurants on-site, plus 24-hour room service, you truly cannot go hungry when staying at Excellence El Carmen! There are also 16 (yes, you read that correctly!) bars on the property, including a cigar lounge, a sports bar and a piano bar. Our favorite is the rooftop X Lounge, with gorgeous ocean views and stellar drinks. For restaurants,we suggest you try Flavor Market which serves delicious tapas in the evening. In addition, the breakfast buffet at Kitchen Table is great for breakfast and lunch. Lobster House is another great option for lunch and is located by the beach. They also offer a great Dominican breakfast. For coffee lovers, head to the Aroma coffee shop in the morning and the Martini Bar at night for the espresso martini. You’ll also find great service on the beach and at the pools if you don’t want to leave your lounge chair for a drink. You can even order drinks from one of the staff members at your very own room pool if you choose to upgrade to this category! 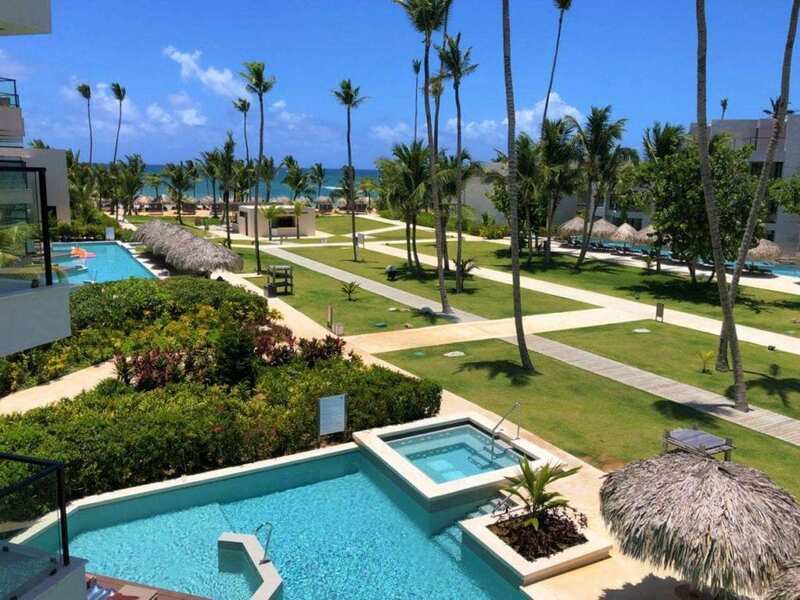 Excellence El Carmen is home to one of Punta Cana’s very best beaches. It is very secluded, super comfortable lounge chairs and thatched umbrellas surrounded by white sand and palm trees. You can also partake in the water sports that are included for all guests. Enjoy the kayaks and Hobie Cat catamarans at no extra charge. You’ll love this property even more if you prefer the pool over the beach. there are 23 freshwater pools scattered through the property, including one with gorgeous ocean views for the best of both worlds. As mentioned above, there is bar and snack service at all of the pools and the beach so you never have to leave. 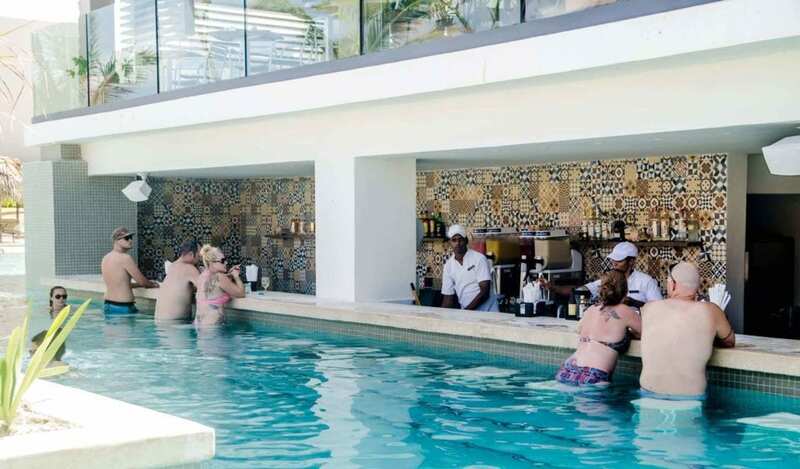 In addition, there is a swim-up bar at the main pool and two pool bars. For an even more luxurious beach day, be sure to book a VIP cabana. For just $60 per day, you’ll get your own concierge, cabana, loungers, and beach access. Be sure to book this in advance because there are only 2 VIP cabanas on the resort. Call us today to book your own romantic getaway at the adults-only, all-suite Excellence El Carmen. You can reach us at 402-390-9291 or get started here.